Mr Star Bakery and I have agreed on a 'no presents' rule this Christmas. When I say agreed I mean forced but hey ho, who am I to nitpick? So instead I have converted my wish list into some lovely baking related gifts you can buy the baking enthusiast in your life. 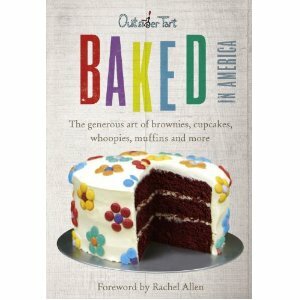 BAKING BOOKLOVER: This book is actually my Number 1 gift. I have been wanting to buy this FOREVER (I have a space for it on my bookshelf and everything) as it's full of amazing american style cakes and bakes. I haven't visited the famous Outsider Tart in London but I always hear fab things about the owners and I just know their treats are going to be worth waiting for. 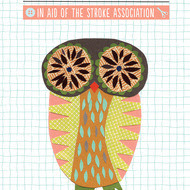 If you buy the copy from their website they you can get it signed, yay! 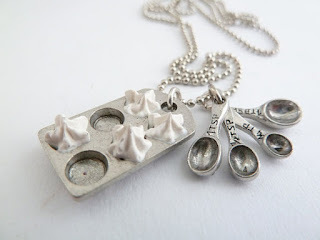 BAKING JEWELLERY LOVER: This cupcake tray and measuring spoons necklace is the cutest thing I've ever seen. This definitely makes it on my list because a) it comes in silver and 2) it's under £15 delivered?? Bargain! This seller also makes tons of other cupcake related stuff so check out her shop on Etsy. CUPCAKE LOVIN BAKER: I often get asked how to convert recipes from cups to grams and although there are lots of converters online I still recommend buying a set of cups as so many recipes are written with these measurements nowdays. Well cups don't come much girlier and pink than these beauties. They're also £3 which gives you no excuse not to get them. 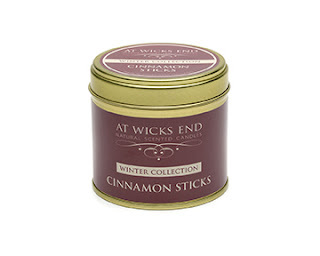 CANDLE LOVIN BAKER: This is the first year I haven't indulged in a Yankee Candle and it's because I won a spectacular cinnamon scented candle from At Wicks End so my rooms are smelling festive already. I love cinnamon and this candle is just perfect for me, it makes my room smell glorious without it even being lit so I'm conserving it and only lighting it a few hours each night. 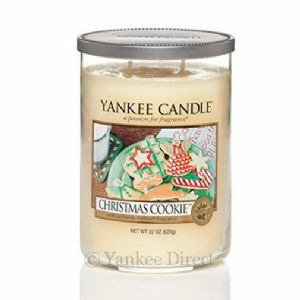 I'd highly recommend their candles but my tradition has always been to have a Christmas Cookie candle from Yankee Candles so next year I'll just have to buy one of each. I hope you enjoyed my little guide, I'm off to bake more of my gifts for Christmas and watch Elf. AGAIN. I've got the Outsider Tart book - signed as well- and can vouch for how good it is! Treat yourself to it!